Have you been considering whether or not now is the right time to upgrade your practice? The IRS Section 179 Tax Deduction offers a unique opportunity to grow, while saving your company tens of thousands of dollars! With the New Year right around the corner, let Vmax Vision help make 2018 your most productive year yet. If you buy (or lease) any of our PSF Refractors, you can write-off the full purchase price on your gross income for this year. By utilizing Section 179, the VASR™—usually $45,000—now has a true cost of $29,250. That's $15,750 in savings! The deduction program (which has an impressive $510,000 cap) is for equipment that is purchased and put into service between January 1 and December 31, 2017. This incentive provides businesses like yours the opportunity to invest in yourself, and in your future. It’s not too late—don’t pass up this opportunity to provide your patients with 5x more accurate refractions. 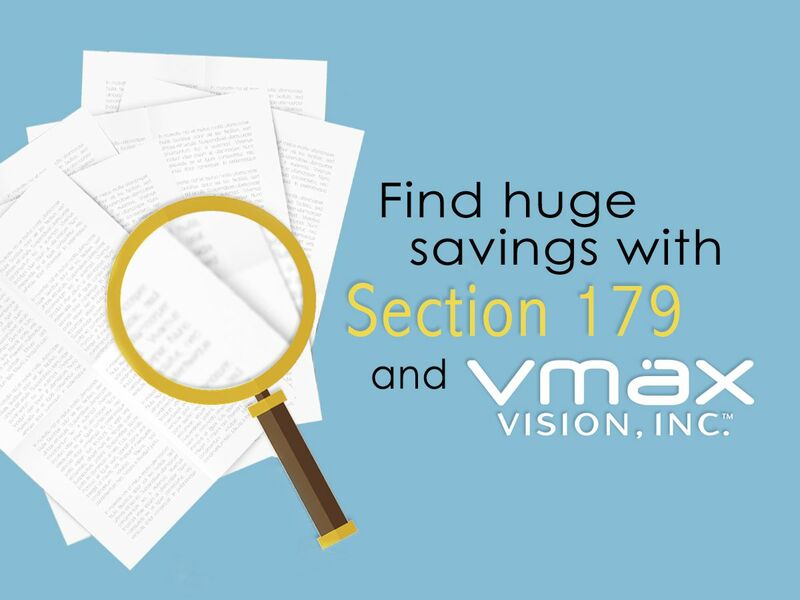 Give the gift of better vision and efficiency this holiday with Vmax Vision!